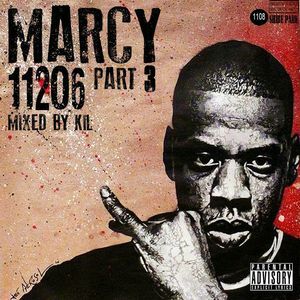 Since I've recently sworn off EVER talking about Jay on twitter anymore (cause these Jay fan boys are pathetic) I figured I'd drop volume 3 of my Marcy 11206 mixtape series which features more of my personal fave Jay BANGERS as a reminder to folk that I do mess with Jay. And if you haven't peeped Vol. 1 you can check it out here!